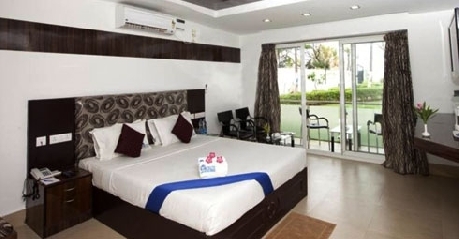 Located on the picturesque East Coast Road that connects Chennai with Pondicherry; Shelter Beach Resort is one of the most popular three star property located in Mahabalipuram. 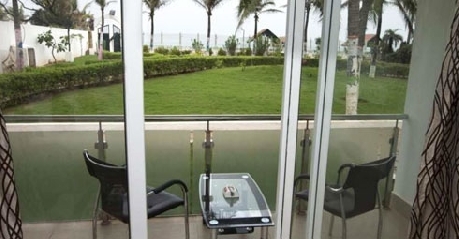 Location is the key advantage of this hotel as it is located at convenient distance from major commercial center and tourist spots of the beach town. Surrounded by lush greenery along with coconut and mango trees, the resort is an ideal vacation spot for patrons looking to relax and revel in the lap of nature. 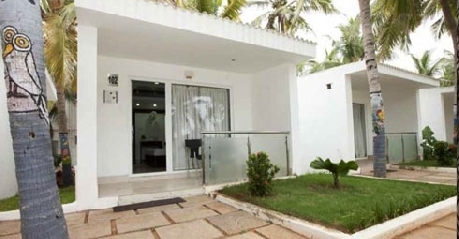 On accommodation front, guests are provided option of Shelter Club Rooms and Costal Cottages; both of which have very elegant décor inspired by the azure oceanfront along with necessary modern amenities to keep patrons pampered and satisfied during their stay here. Being a holistic resort, Shelter has also developed two culinary delights that cater to food related requirements of the guest. These include Samudhra multi cuisine restaurant and Bay View Restaurant that specializes in sea food dishes. Patrons looking to enjoy a few drinks can head to Poker Bar, which serves popular brands of Indian and imported spirits. Apart from this, Shelter Resort also has four conference halls of different capacities (20 to 200 guests), which can be ideal venues for any social or corporate functions. The lush green lawns of the resort can host 1000 people for bigger functions and venues. Resort also organizes beach activities and water sports to keep guests entertained. Patrons and also avail other generic facilities and services like travel arrangements, laundry service, currency exchange, parking space, package tours and many more. 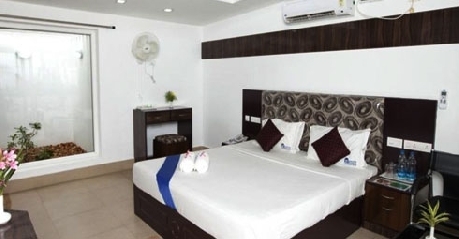 Pamper yourself with best of lavish luxury and classy comfort, by choosing to stay at the Shelter Club Rooms available at Hotel Shelter Beach Resort in Mahabalipuram. 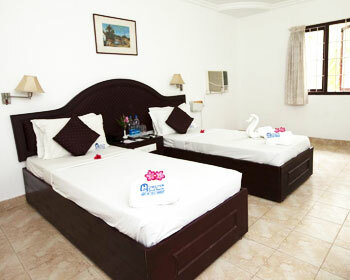 These rooms are designed keeping in mind varied needs of modern day vacationers. Therefore, they sport very classy décor and stylish interiors in line with the beautiful beachfront and azure ocean it over looks. The interiors are also adorned with artistic paintings and local cultural elements that give the room very delightful aura. Apart from these, the Shelter Club Rooms also boast of host of modern amenities and facilities that keep patrons pampered and satisfied during their stay here. The main among them are plush bed, wardrobe unit, seating couch or sofa, private attached bathroom, dresser, color television with satellite channels, telephone and hot and cold running water availability. The beach front location and premium amenities make Shelter Club Rooms ideal for couples and solo travelers. 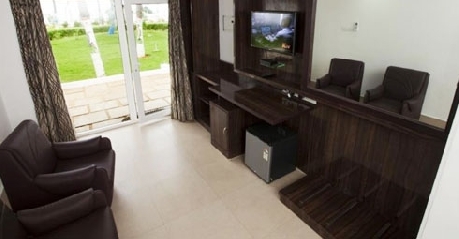 Traveling to Mahabalipuram with your family or group of friends for a vacation, then you might need an accommodation option that can host all of you together. To cater to clients with such need, Hotel Shelter Resort has developed Costal Cottages, which are spacious and comfortable accommodation option. 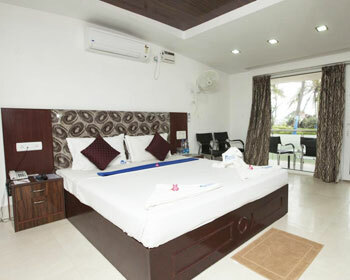 The cottages are designed as holistic stay options that are provide for all the necessities and requirements of clients. The cottages consist of a spacious living area, bedroom and private attached bathroom with premium fitting. The unique structure and tailor made interiors open up lot of space on inside offering ample room to guests for their daily activities. The cottages are also blessed with classy décor that is inspired by contemporary design style and the simple lifestyle of local people. The Costal Cottages also boast of modern amenities and features such as plush bed, wardrobe unit, seating couch or sofa, private attached bathroom, dresser, color television with satellite channels, telephone and hot and cold running water availability. Spacious nature of Coastal Cottages makes them great accommodation choice for families. If you are a foodie who likes to try different kinds and styles of food, then Samudhra restaurant is the place you should visit. Samudhra is the main onsite restaurant of Hotel Shelter Beach Resort and offers delectable and healthy food to guests staying here. The diner is located on the resort property and therefore is easily accessible for guests. Samudhra specializes in serving scrumptious dishes from Indian, Chinese, continental and Mexican platters. Patrons can also request local delicacies, which are prepared as per traditional recipe using organic ingredients that impart unique flavor and aroma to the dishes. Moreover, the décor of the restaurant is very delightful and ambience is kept very warm to make it ideal dining venue for both formal and casual occasions. Patrons are welcome to try local seafood here, it is worth a shot. If your idea of perfect vacation is to gorge upon your favorite dishes while enjoying the mesmerizing view of the sun soaked beach and deep blue sea; then Bay View Restaurant is the place for you. As the name suggests, the diner is located by the beach side and faces the azure ocean, making dining here a truly delightful experience. If you are a seafood fan, then the Bay View Restaurant will be able to pamper you with the best of seafood dishes from across the globe. The dishes are prepared as per local recipes using exotic spices that impart unique flavor the preparation. The seating is very comfortable and kept neutral to suit both formal as well as informal occasions. Be sure to visit this diner, while traveling to Mahabalipuram, it is worth a try. Head to Poker Bar is you are looking for a place where you can spend long hours chatting and catching up with friends and loved ones over drinks. One of the most popular watering holes in the town, Poker bar offers a very nice semi-formal and leisurely setup, where guests can interact and enjoy each other’s company. The Bar overlooks the sun-soaked beach and offers lovely view of the natural scenic beauty that surrounds the resort. Patrons are served all the popular brands of spirits, be it beers, wines, single malts or any other. If you are feeling a little adventurous, you can also try cocktails that are given a local spin to pleasantly surprise you. Head here with your friends to have a wonderful evening.